Good communication is a key component to having a good experience with siding contractors and it should start at the very beginning with your cost estimates. It can sometimes seem like construction professionals speak in a foreign language, and siding contractors are no exception. When you're receiving your estimates before choosing a contractor, make sure you understand what's included and exactly what you're going to end up with when the project is completed. Are they removing any old siding and if so, is it being taken to the landfill? Is house wrap being installed? Are they going to inspect window and door flashing prior to installing new siding? Is everyone pricing the same brand and style of siding? 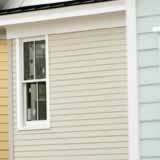 Is anyone pricing insulated vinyl siding and if not, should they be? Are new shutters included, if applicable? Is new fascia and soffit included in anyone's price? Are they cleaning up their debris when the job is finished? Checking these items when reviewing your vinyl siding estimates allows you to compare "apples to apples" and can also ensure that one or two of the bidding contractors aren't overlooking important parts of the project. Proper communication can help make sure everyone's happy when the job is complete.